Ahh, el Tango… The Tango is not only a seductively romantic dance but also a popular type of music. 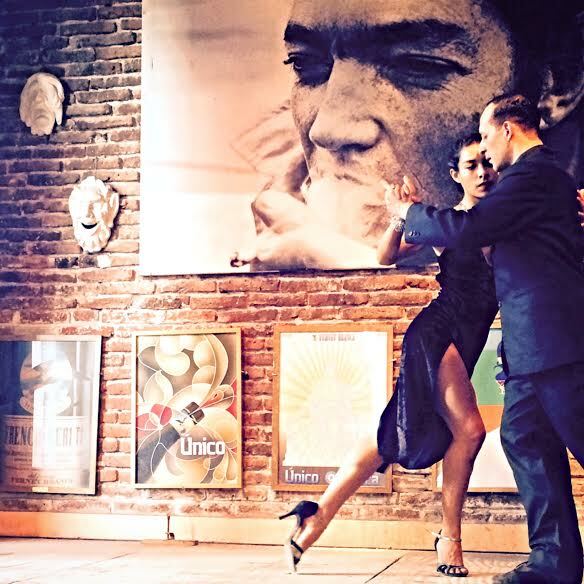 In Buenos Aires, although the Tango may be becoming antiquated to everyday culture, it is still very much alive for the tourists and those authentic porteños (residents of Buenos Aires) who wish to maintain the tradition. I went to a traditional milonga where the locals go to dance, and it was amazing. The sounds of the accordion and violin create the perfect backdrop to the most beautiful dances you can witness. As one might expect in Latin America, the fruit is very fresh. 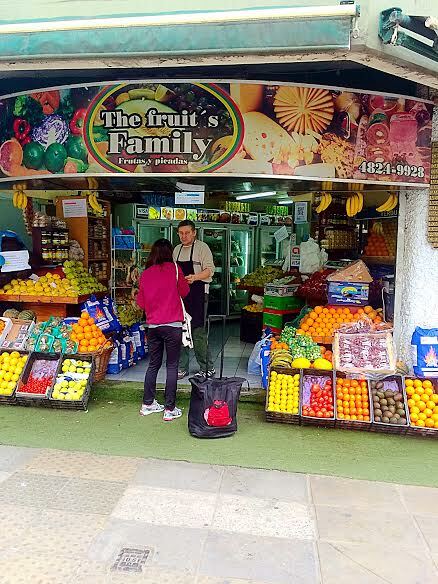 At the bottom of my apartment building is a fruit and vegetable shop. Every day, my host mom buys fresh vegetables for that night’s dinner and fresh fruit for the next morning. Every day, when I get home, I always peer over and smile at the vibrant colors and amazing smells! 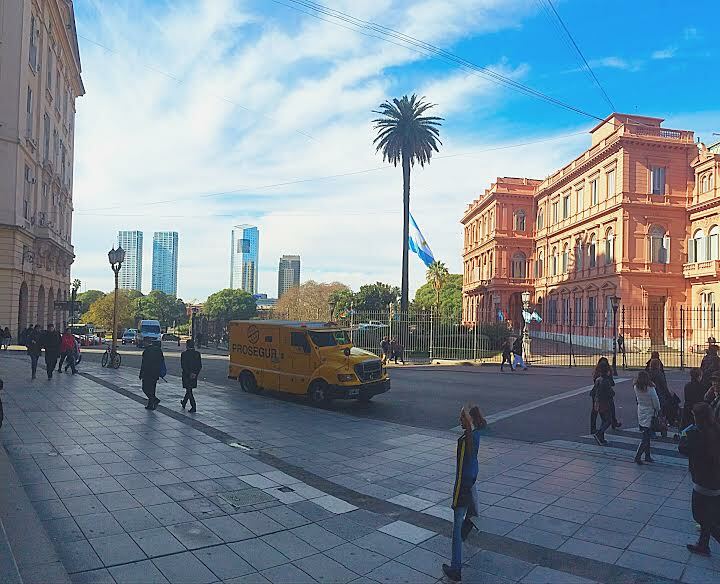 From the steps of the Central Bank, you have a beautiful view of the modernity of great skyscrapers and the history of the Casa Rosada (Pink House). The Casa Rosada holds the executive offices of the President. I toured the building and got to see all its beauty inside and out. While some old wallpaper held small stains and the original floors looked a little beat up, these imperfections added to the authenticity of its history. Interestingly, the building is pink because at one point it was believed that, to protect against the summer humidity in Buenos Aires, it was good practice to preserve the exterior walls with a mixture of lime and cows blood. 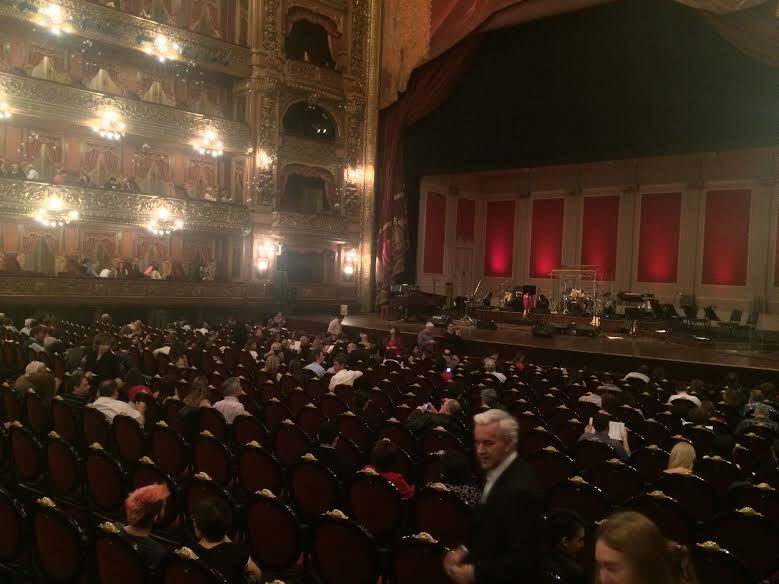 The Colon Theater is ranked as the third best concert hall in the world. Its acoustics are unmatched and its beauty is ridiculous. I am unsatisfied with the photos I got inside because they do not properly display the grandeur of the building. I plan to go back with my friends from UR and we’ll be sure to get a group pic! 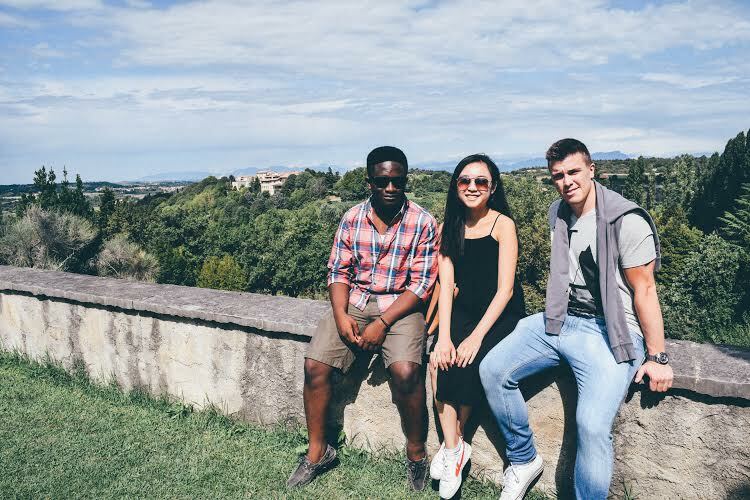 After the first three days of orientation, IES program has arranged a retreat for us to Sirmione and Lake Garda, architectural and natural gems in northern Italy. Here are some snaps of this amazing trip. 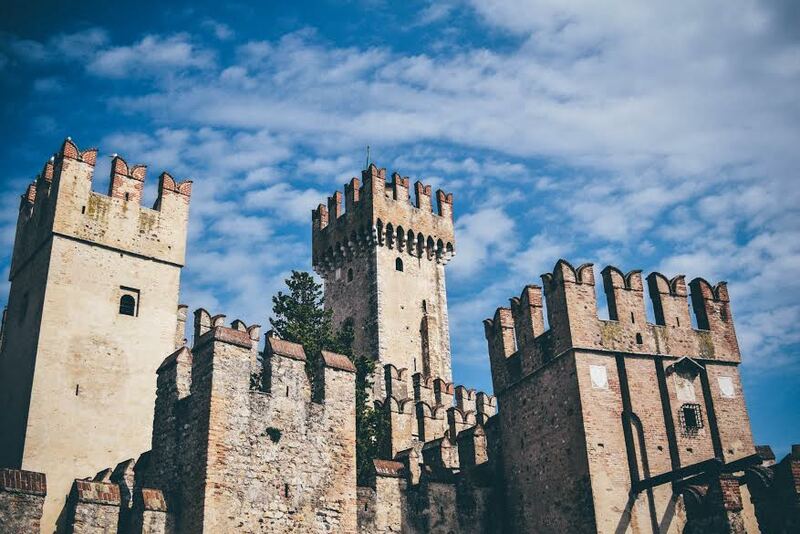 In the great town of Sirmione, history is embedded in every intricately shaped stone that we roamed through. This great castle at the entrance of Sirmione was built during 12-13 century as a fortification against enemies from both outside and inside. Our director Roberto made an insightful point — many Italian castles are facing to the inner city since most of the times the enemies come from inside the country. Grotte di Catullo is a Roman villa built during the Augustan period. Pieces and fragments of the wall paintings and archeological treasures are displayed in the museum now. 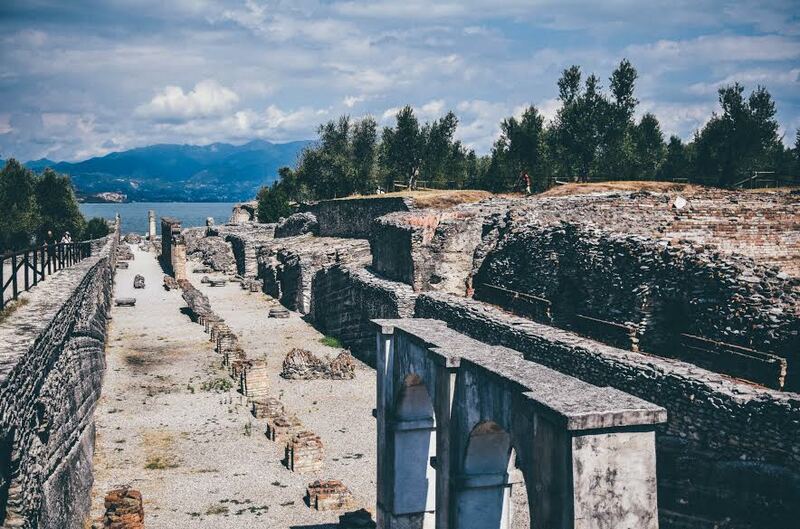 Walking along the Roman ruins, one can still feel the past grandeur while immersing in the fresh air from the surrounding lake. 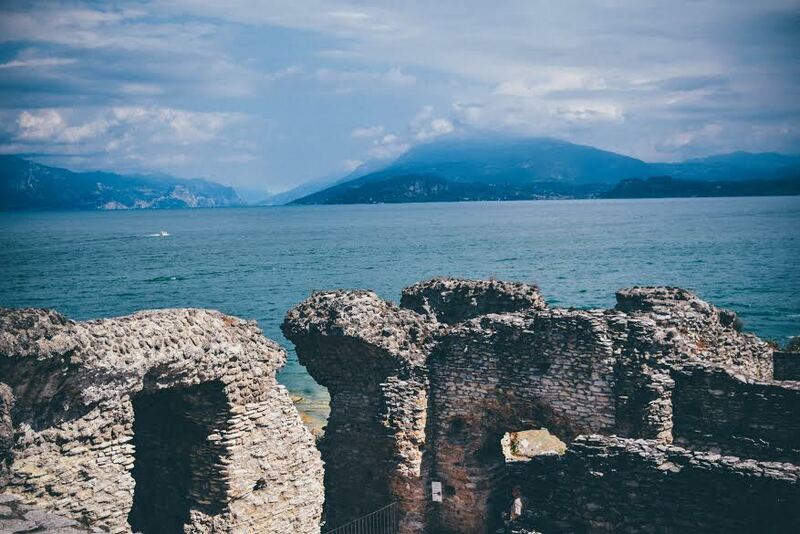 The Roman villa is probably the best point to have a panoramic view of Lake Garda. We held our breath, admiring the view of the turquoise blue lake and the architectural wonder at the same time. 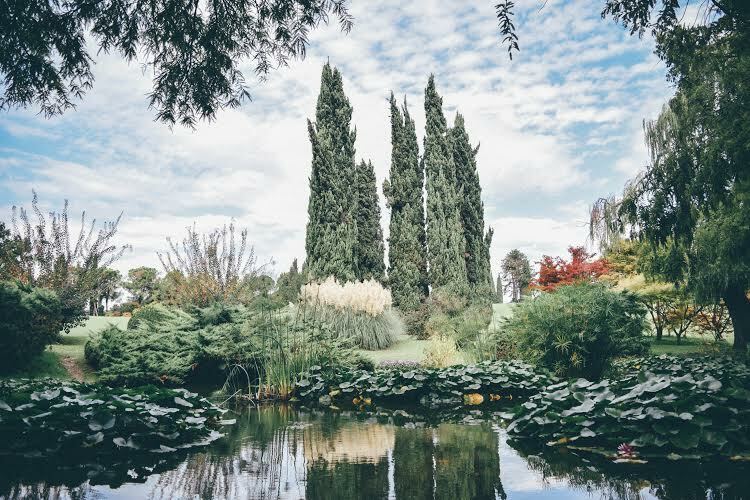 On the second day of our retreat, we visited the Parco Giardino Sigurtà, probably the most picturesque botanical garden in Italy. 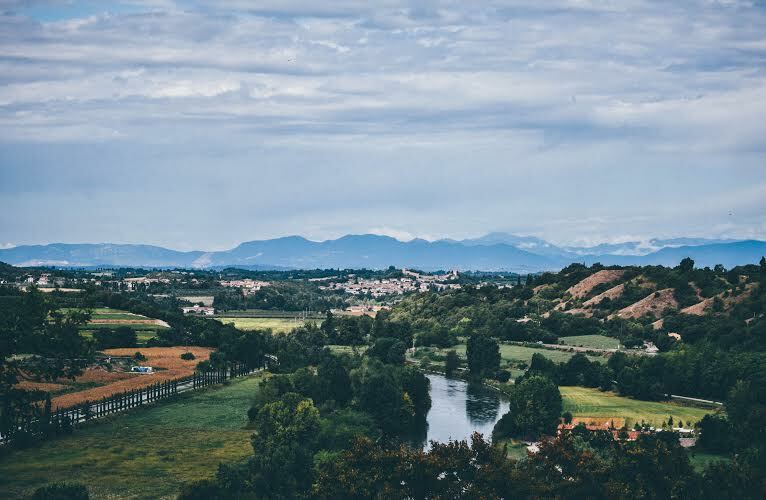 Located above the surrounding historic towns, the park offers a fresh bird’s-eye view of the beautiful northern Italian countryside. Italian gardens are delicately designed and carefully maintained. Unlike the rustic feel of English gardens, this northern Italian garden is incredibly elegant and polished. Every detail of the pond and forest hills show the efforts of human touch. My new friends, Fonnon from Nigeria and Zdenek from Czech Republic, were wonderful companions during the trip.